I must say I can't believe it is the middle of October!! It's that time where I need to start making Christmas cards, and the new TAWS release has some adorable images. The Chill Out set features quite a few options of my favourite of the wintery themes, snowmen. I decided, however, to use some of the other images for my card today, the cardinal and snowflakes. I used a few other sets as well, Stack'em High for the sentiment and Trees Company for the branch. ps here's a pic of my little man enjoying the swings during our family trip to Ontario last week. 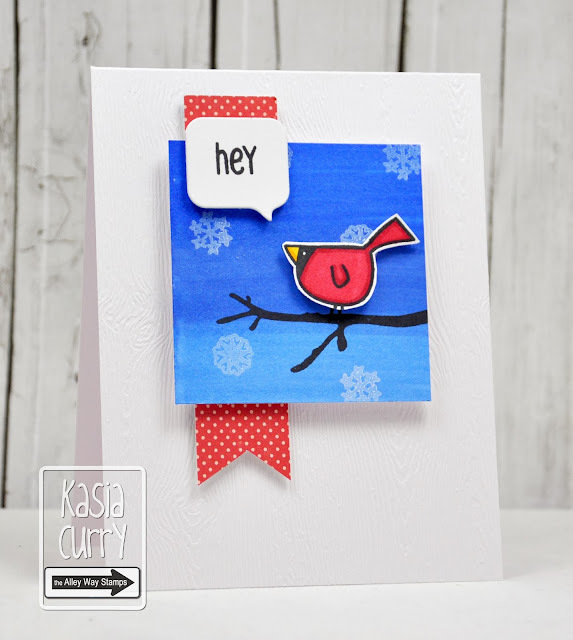 Cute card, love the snowy sky you created! But your little guy looking like he's have a grand time steals the show today!